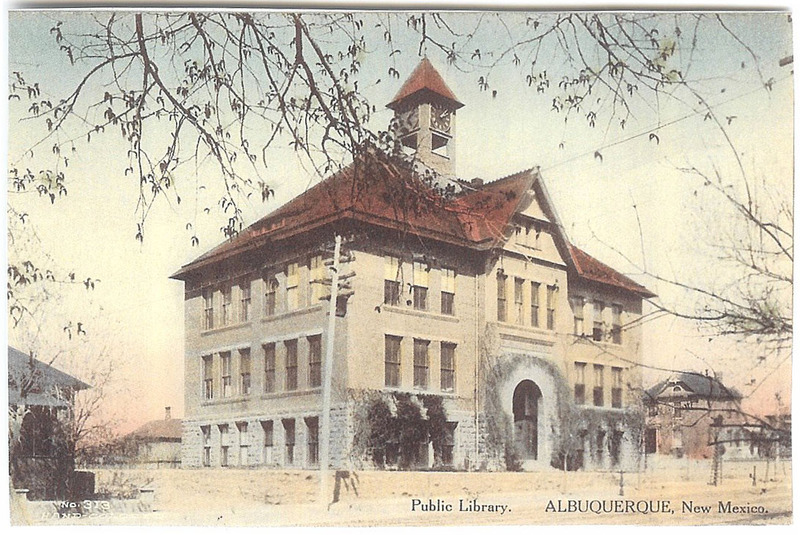 Did you know that May 1, 2011, marked the 110th anniversary of the day municipal public library service began in Albuquerque? Think of it-when you check out a book at your local Albuquerque branch, you are supporting a tradition over a century old! Last week, I sat down with retired librarian & local historian Joe Sabatini for a very informative discussion of the history of libraries in our fair city. It was an eye-opener for me, & I wanted to share my findings with you. That first municipal library in 1901 wasn't even the first library in Albuquerque. In the 1880s & again in the 1890s, there were subscription libraries run by women's clubs, most notably one that was located in the old Commercial Club at the intersection of 4th & Gold downtown (where the Simms Building is now). This library got some funding from a mill levy, but principally it survived on more homespun support, such as bake sales, dance balls, & soliciting donations. The original library building at Edith & Central. Meanwhile, in 1896, "banker Joshua Raynolds purchased a former school building at Edith & Central & bequeathed it to the City of Albuquerque for the purpose of having a municipal free public library. "* In 1900, he bequeathed in perpetuity to the city, so long as three conditions were met: a public library should be maintained there; the city should maintain the grounds; & the citizens of Albuquerque should raise $1000 in funds for the fledgling library. The ledger still exists that records all the books that were bought for the new library. The very first librarian at this location was Nell Wetter. She opened the library with 2405 books. Only one floor of the three story building was dedicated to the library-the City rented out the other space to churches, schools, & community organizations. At that time the Huning Highlands neighborhood, where the library is situated, was a prosperous, upperclass area of Albuquerque. MissWetter ran the library for several years, left the state briefly, & returned the run the library again briefly. In 1913, Miss Wetter relocated to Cleveland-she was concerned for her health, as many of her customers in those years were tubercular patients. She trained one of her successors, Stella Dixon. 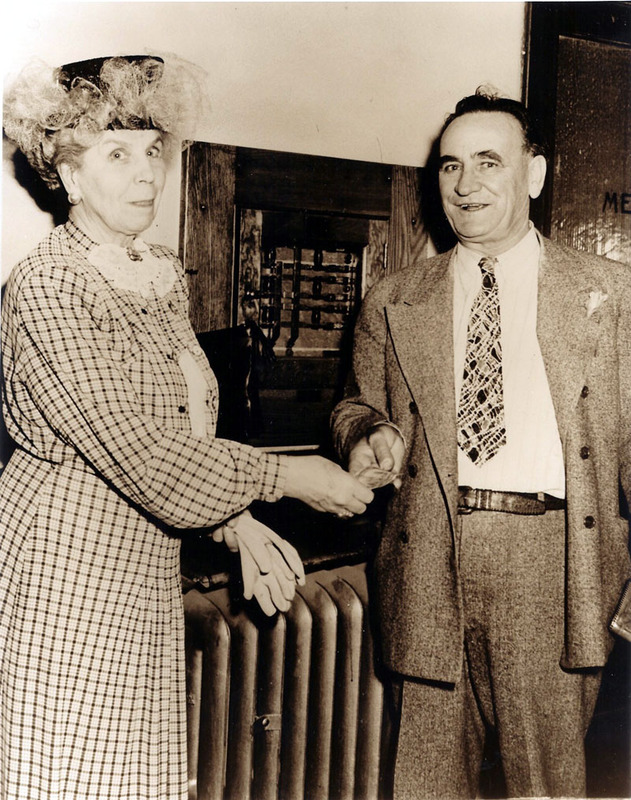 Stella Dixon, who become library director in 1918, was the wife of a railroad conductor. The Dixons lived at Arno & Central & their 4 children went to the First Ward School, which is now Longfellow Elementary. The New Mexico Library Association (NMLA) was founded in Stella Dixon's living room, & she was its first treasurer. 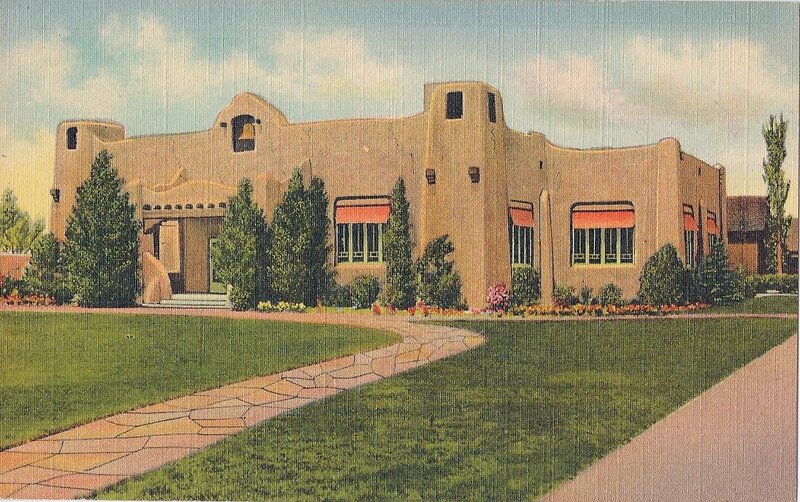 In 1923, the city passed a $45,000 bond to build a new library, tearing down the old school building & replacing it with a new building in the Pueblo Spanish Revival style. They used brick from the old building for masonry in the new one. The new building opened in 1925 with 1300 people attending the ceremony-the new, improved library was no small matter for Albuquerque citizens. ﻿﻿"The Depression hit the Albuquerque Public Library very hard. At first, circulation continued to increase as unemployed people used the library to pass the time or look for job information. But the library had no book budget. They rented their new fiction [to the public]. That revenue & overdue fines provided their entire new book & magazine budget. People who lost their jobs had no money to rent books. With virtually no new books coming in, the collection wore out & circulation dropped from 90,000 annually in 1932 to 56,000 in 1935. More than a thousand books were put in the basement awaiting repair. By 1935, there were only 200 usable children's books, at a time when there were 5,000 children enrolled in public schools,"** says Mr. Sabatini. Community groups demanded a fix, & a new City administration forced Mrs. Dixon to resign, hiring a director with a a Master's Degree in Library Science. 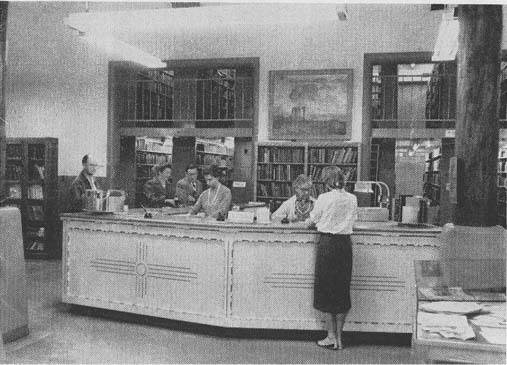 There were some budget improvements in the late 1930s, but the library was not expanded until after World War II. During these next years, Erna Fergusson (the "First Lady of New Mexican Letters"), granddaughter of wealthy merchant Franz Huning, daughter of Congressman Harvey Fergusson, & Clyde Tingley (city commission chair for 3 decades & also governor of New Mexico) were influential in the growth of the library. After the deaths of journalist Ernie Pyle in 1945, Tingley appointed Erna Fergusson to chair a committee to determine an appropriate memorial to Pyle. That led to the City acquiring Pyle's home, which eventually became the Ernie Pyle Library-opened to the public in 1948 as the first branch library. 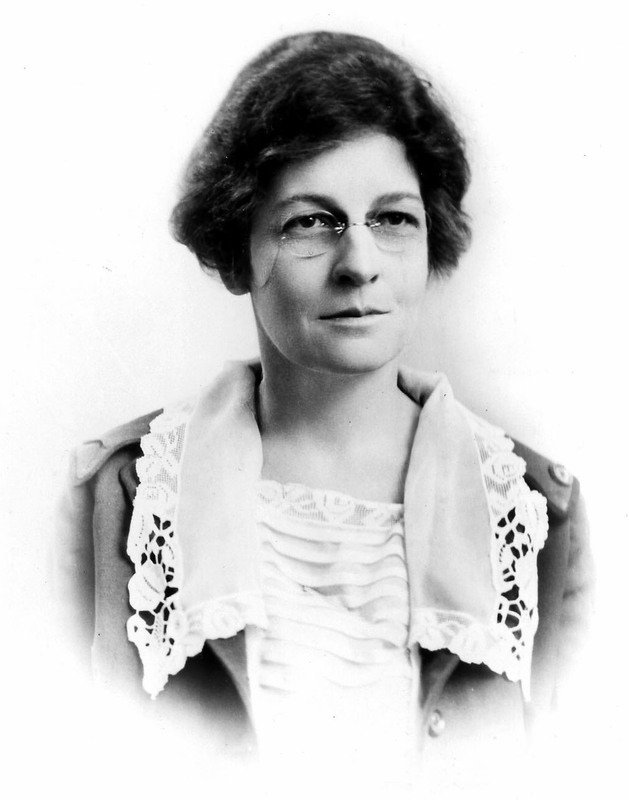 Elsa Smith Thompson was the library director during this era, overseeing the establishment of a branch library system to serve the City during its extraordinary postwar growth. 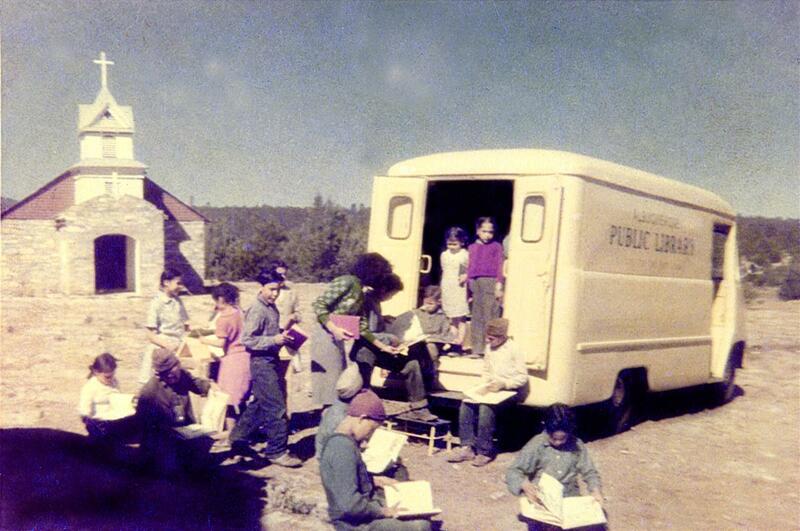 Beginning in 1948, the Pilot Club donated a vehicle to establish bookmobile service, taking books to rural areas of Bernalillo County. In 1954, the city opened its second branch library, Los Griegos, followed by its third, the Prospect Park branch (now called Tony Hillerman Library-see the timeline of this branch's history on its website) in 1957. Three more branches open in the 1960s-the Esperanza branch (replaced by Alamosa Library in 2001), the Erna Fergusson branch, & then the San Pedro branch. The 1970s were marked by the building of a new Main Library at 5th & Copper. In addition, "Old Main" at Edith & Central, later to become Special Collections, was renovated. A Model Cities Program library was created in the South Broadway neighborhood, with emphasis on media, income tax help, & programs by local performers & artists. In 1979 the staff & community resisted when it was proposed to make it a regular library! The library was rebuilt in 1995 as part of the South Broadway Cultural Center. Albuquerque was still growing in the 1970s, but with the emphasisis on the building of the new Main Library, no new branches were built. In 1979, director Alan Clark initiated a Comprehensive Plan with "criteria for placement of branches serving 40,000 people within a two-mile radius". * This led to 3 branches being built in the city during the 1980s-Juan Tabo, Taylor Ranch, & Lomas Tramway. Another of Clark's innovations was the funding of library collections, processing, & automation, in addition to building new branches, through bond elections. With the growth of metropolitan Albuquerque, Alan Clark worked with Ruth Sims, manager of a small County Library, to bring service to Bernalillo County, outside of the city. A joint powers agreement was signed between the City & Bernalillo County, transferring the management of the County Library to the City of Albuquerque. This was followed by County Bond issues to construct three branches, South Valley, North Valley, & East Mountain, also under City management. The combined library system was renamed the Albuquerque/Bernalillo County Library System. Two more branches,Westgate & Cherry Hills, were added in 1999. "By 2001, the Albuquerque/Bernalillo County Library system was operating a Main Library, a book van service to senior condominiums, 15 neighborhood libraries & a Special Collections (genealogy & local history) library... In July 2007, the system noted the milestone of circulating one hundred million books & other materials since its founding in 1901. The system began offering public internet services beginning in 1995,"* Mr. Sabatini explains. The system was rebranded as ABC Libraries in 2010. What a long, strange trip it has been for ABC Libraries! This is only a brief overview of the history of libraries in Albuquerque-I can't do justice to all the information Joe has compiled. I hope you have enjoyed this condensed version & that next time you visit a library in Albuquerque (perhaps to get a stamp on your Summer Reading passport? ), you will enjoy knowing that you, too, are taking part in the grand history of libraries in Albuquerque. All photos are courtesy of Joe Sabatini. Last Week of Summer Reading 2011!